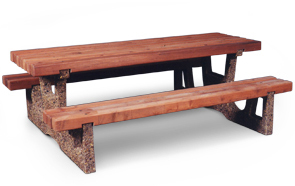 Durable wood and concrete picnic table comprises natural elements into the ideal balance of form and function. 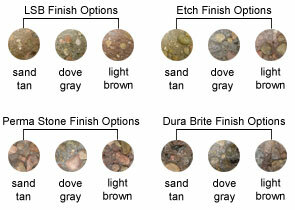 Select from stylish construction grade Redwood and Douglas Fir to match with a variety of natural concrete color and finish options available for the steel reinforced frame. The heavy-duty construction makes these picnic tables perfectly suited for outdoor use, while indoor use is not out of the equation either. Meet compliance with the one side overhang Universal Access models available. Tops & Seats - Construction grade Redwood or Douglas Fir.